A Welcome Message from the Master of the Lodge. R.W. Bro. 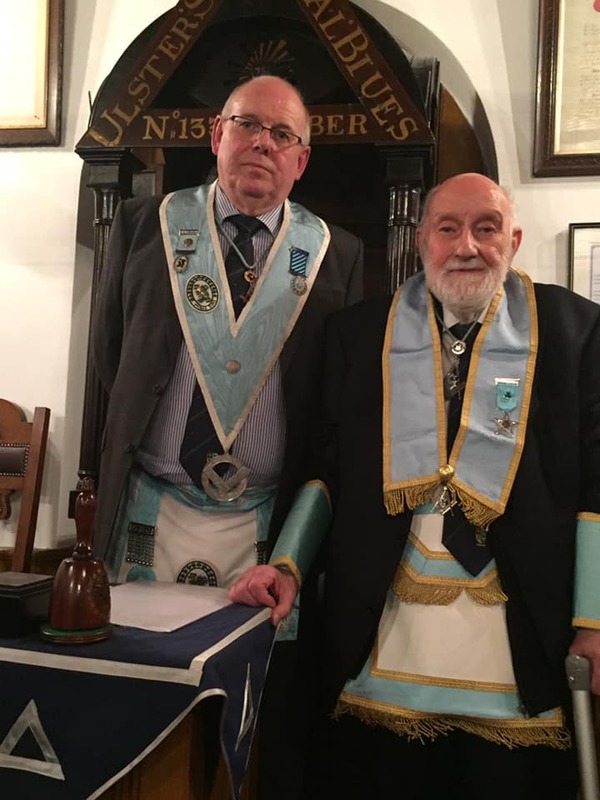 Philip Daley at Comber Masonic Hall, Co. Down, January 2019. Welcome to the website of “Lodge Ireland 2000” the only “Internet” Lodge under the jurisdiction of the Grand Lodge of Ancient, Free and Accepted Masons of Ireland. Constituted in the year 2000 to mark the Millennium, our aim is to bring together Freemasons everywhere who have access to the Internet under a single Irish Warrant. Our membership has a truly international flavour with Brethren from many Masonic jurisdictions having affiliated to the Lodge. We hope that you will explore the pages of our website which contain many items of interest for both Masons and Non-Masons alike but whilst we hope that you may find this website informative and useful, please bear in mind, that this is only one facet of the Lodge. Whilst we are an “Internet” Lodge we have 4 physical meetings a year and we meet “virtually” every day with monthly “chats” in our secure chat room and using discussion forums within the “member’s area” of the site. As an Internet Lodge we hope that our Brethren both near and far can feel close to us at all times. As in previous years we will continue to travel around Ireland and have our physical meetings in a different location each time. We most fervently hope that any Brethren will join us at our meetings and there is a warm welcome awaiting visitors from any jurisdiction which is in fraternal communication with the Grand Lodge of Ireland. So if you are visiting and want to feel the warm welcome of Irish Freemasonry then please check the “Physical Meetings” button for the date and times of our meetings. In addition should you wish to become affiliated to Lodge Ireland 2000 or contact us for any other reason then please send an email to webmaster @ ireland2000.org (please remove the spaces in the address). Lodge Ireland 2000 is both vibrant and forward looking, using this the most modern of communication tools to reach out to Brethren across the world, but we are also a typical Irish Masonic Lodge, rich in the traditions of Irish Freemasonry – for example, Good Moral Standing, Charitable giving, strong values of self and the community. Like most Lodges we have in the past supported charitable giving outside the Masonic sphere and made donations to appeals worldwide. Thank you for visiting our website. We invite you to investigate Freemasonry further by exploring the information given here and on the website of the Grand Lodge of Ireland – www.freemason.ie – where you will be able to access many other links and points of interest regarding our Order.